I salute those qualified teachers who work countless hours. 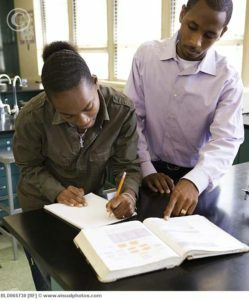 Many have to address disciplinary and emotional issues that affect their ability to teach effectively. 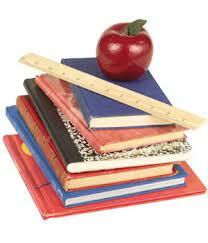 Let’s send a big “THANK YOU” to all those who work diligently to give our children the best education possible. Parents need to partner with teachers as they cannot do the job alone. As parents, grandparents and guardians, we have a responsibility to train up these precious children (our future generation) in the reverence and admonition of God – to teach them the ways of God. We want our children to respect authority figures and be held accountable for negative actions of disrespect and negative behavioral issues. Parents and teachers should work together for the good of the child such as making sure a child does his /her homework, address disciplinary issues and emphasizing the importance of studying and obtaining an education. Most of our teachers are doing their best to promote a healthy learning environment. We need teachers who are committed to effectively teaching our children. Schools must be safe for teachers as well as students. On the other hand we must guard against negative attitudes of teachers that adversely affects how and what they teach children. There are self-centered people who hold jobs in our educational system that are not concerned with the proper development of our children. They are there to promote their own agendas or there simply to draw a paycheck. 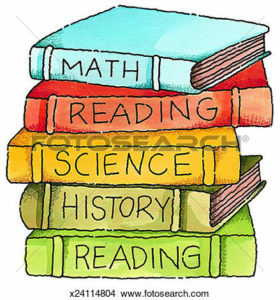 Let us assume our responsibility and involve ourselves in the education of our children. Parents, let your child’s teachers know that you will work with them to build the character of your child. We need to continually uplift the entire educational system and all those involved the mountain of education which includes our teachers and administrators. The prayer of agreement is powerful and we must join our voices and hearts to consistently pray for those involved in educating our children. Below are specific prayer points to pray for our teachers. State your name or the name of a teacher you want to pray for. Father, I pray for ____________________________________ who is facing the new school or college year and the challenges and difficulties of school responsibilities. Impart your wisdom to him/her so that he/she will understand that wisdom is the principal thing. Motivate him/her to seek wisdom and to gain understanding. Grace and mercy come from you, Lord. 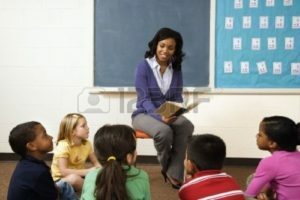 As you did for Daniel and three Hebrew children, I ask that you give my children knowledge and skill in all learning and wisdom that he/she they may be excellent in all his/her their school work and activities. You are a very present help to____________________ __________________in all areas of his/her life. 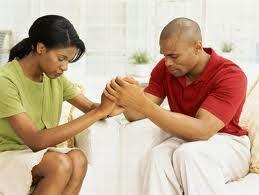 Help him/her to call upon you when the demands of scholastic life threaten to overwhelm him/her. May________________ realize that you have a plan and purpose for his/her life. Gave him/her the motivation to pursue your goals for him/her. Protect him/her from all harmful influences. Keep him//her mind stayed on you. When philosophies and theories of this world oppose his/her faith, help him/her to maintain a constant focus on you, to run his her course with patience, looking unto you. Lord Jesus, the author, and finisher of his/her faith. Bless __________ with clarity of mind as he/she studies. Help him/her to be diligent and to avoid the error of procrastination concerning assignments. Remind him/her to remain faithful even in the things he or she may consider unimportant. Give him/her faith in your promise, as he/she faces tests and exams, that by your great Comforter, the Holy Spirit, you will bring all things to his/her remembrance. The day after the Labor Day is the first day of school for public and private schools around the world although many returned to school last week. We need to consistently pray united back to school prayers for our children, parents, teachers, the school board and the entire school system. Through prayer, families, our children’s lives, and our world can be changed. God will show us how to use the power that believers have within through the power of the Holy Spirit to transform our schools and deliver them from violence, disorganization, and poor administration. Through united consistent prayer, God will give us the power, wisdom, knowledge, and creativity to solve the many school problems that plague our city schools and school board. Through prayer the right leaders will arise to enable the community to come together to take productive and strategic action to transform our educational system and our schools. We need to pray for the educational mountain sphere that affects our children and youth’s minds and impacts their lives. Yes, our educational system can be changed significantly by united (corporate) and individual prayers. Let us pray and put as I always say “put hands and feet” on those prayers and take strategic action to make a difference in our school system. Pray for the school your child attends as you drive your child to school. Pray for a school in your neighborhood. Encourage your children to pray for their school and teachers. Parents and the community need to unite in prayer in our neighborhoods and on the school grounds to serve as prayer warriors who battle in the spiritual realm for the lives of children and teenagers as they go off to school and colleges for at least a half hour to one hour each day. Let’s challenge ourselves to daily pray for the protection of our children and that God will deliver them from evil and thwart every scheme of the enemy. Here’s a prayer for the safety of your children. Heavenly Father, you are the sure defense of our children, you are the rock of refuge, their high tower, and their protector. How I praise you and thank you for the certain knowledge I have that you care for my child, you will be with him/her always and you will keep him/her from the evil one. Lord, you saved Israel from the hands of the enemies time and time again. You delivered your people and helped them to dwell in safety. Be a very present help to my son/ daughter__________________ (state their name) as he/she goes out to play, goes to school, walks on the school ground and sits in the classroom , attends college and faces the challenges and responsibilities in our society. Lord build a hedge of protection all around the school building, playground, bathrooms, classroom and hide them under the protection of your wings as in Psalm 91 in the name of Jesus. Lord in the name of Jesus we pray that you cover my children and the children and youth around the world through the blood and “stay the hand of violence against the children and staff of the school. Dismantle any plan to bring harm to them. Expose any weapon brought on the school premises and render it harmless”fn.1. Keep our home safe from all fear and dispatch your angles to protect my children at school, on campus, on the playground, on the bus and walking home from school. Uphold my child, ______according to your Word, Lord, so that he/she might truly live, experiencing the abundant life you have promised to all who come to you. Let him/ her never be ashamed of you. Hold him/her up so that he/she will always be safe and will have respect to your statues continually. I pray that he/she will honor You and your Word. I thank you, Father for the promises of your Word, and that You are a shield unto them that put their trust in you. Deliver them from all who would harm them. Your name, O Lord is a strong tower into which the righteous may run and find security, safety and protection. Amen. (Prayers That Prevail for Your Children by Richards and Hildebrand and fn1 by Ida Rose Heckard). Linda Fegins, “The Prayer Leader”. Linda D. Fegins, “The Prayer Leader”. ldfaygo@gmail.com Linda Fegins, serves as a prayer leader and teacher/trainer on the Intercessory Prayer Ministry at her church. Further, she has served as a prayer leader and teacher/trainer on the “Prayer Boot Camp” with the Global Missions Prayer Force and as a guest intercessor and volunteer for Girlfriends Pray, a global prayer ministry. She served as Prayer Coordinator for over 13 years (later Director over the Prayer Ministry) for the Lydia Circle Christian Business and Professional Women. As part of the Lydia Circle she has lead over a dozen prayer boot camps, and has lead prayer services and workshops in the Bahamas and in South Africa. She served on the prayer team of a medical mission’s trip to Jamaica under the leadership of Rev. Jackie McCullough. Welcome to the BACK 2 SCHOOL Prayers Journey ~ September 1-30, 2017. Join us our month-long prayer campaign for all students from pre-K to college and other educational institutions and schools. State your child’s name, school, college, and age and we will pray for you. You can send them to me at the email below and/or you can also add your child’s name and school/college at https://www.facebook.com/childrenofhopepartnership/ . Parents and the community need to call for united prayer for the lives of children, teens and college students attending schools and colleges around the world. Let’s begin to cry out to the Lord for the students, teachers, educators, and school staff in our communities.Cry out today “Lord bless our schools”, See Lam 2:19 and then also specifically and scripturally pray daily. 1. 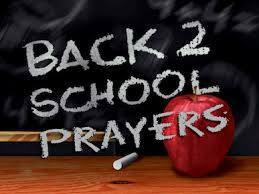 Join us in praying for our school age children, youth and college students this month. Write the name of your child, teen, and college student, age, and the name of their school and college. 2. Pray daily for our children for salvation, protection, academics and more. 3. Adopt a school to pray for in your neighborhood or in any place throughout your city. Pray for the school of your child ‘s school or college. 4. [Pray daily] I pray in Jesus’ name that every child and every school throughout the world will be covered in prayer. Draw my children in a personal relationship with You that they may taste your goodness and long for you. Let them know you will watch over them at school and that they are not alone at school when mother and father cannot be there. ( Ps. 27:8 ;34:8; John 14:16-17). Blessings to parents, students, and the community.